Michael Hogan is a Senior Lecturer in Psychology at the National University of Ireland, Galway. In his undergraduate years Michael was the Psychological Society of Ireland Young Psychologist of the Year (1994). He received this award for his research on the relationship between developmental automaticity and intelligence. Michael travelled to the U.S. after his undergraduate degree and spent a year working in a Brain Injury clinic as a life skills trainer. He returned to Galway the following year to accept a PhD fellowship award. His PhD focused on Generalized Slowing and Common Cause Models of Ageing (1999). Michael continued his research in the field of ageing cognition as a postdoctoral researcher at the University of Toronto and worked with Lynn Hasher on the relationship between circadian arousal and learning, and with Fergus Craik on the impact of attention switching on memory. 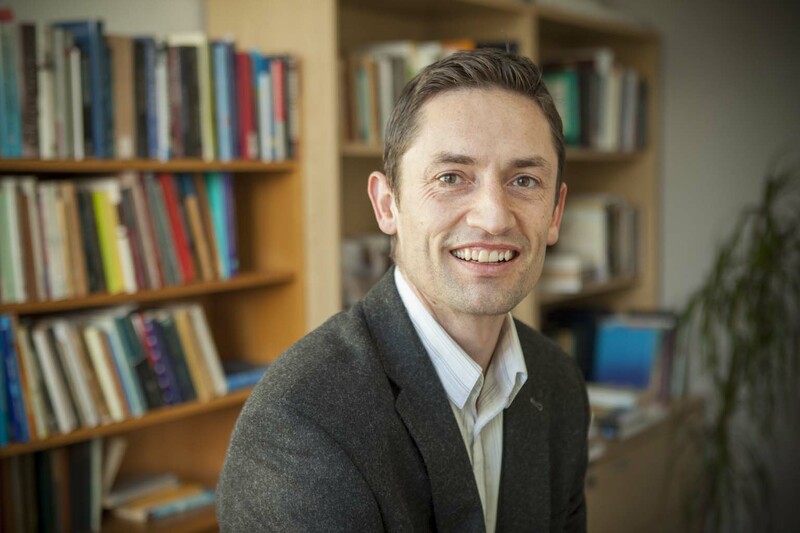 Michael returned to Ireland to work as a postdoctoral researcher at Trinity College Dublin. Working with Brian Lawlor and Ian Robertson he secured HRB funding for a research project that examined the relationship between event-related potential (ERP) variability and ageing memory. During this period Michael also accepted a visiting scholar position at the University of Tübingen, Germany, where he worked with Jochen Kaiser on EEG coherence changes in Alzheimer’s disease. Michael’s research interests have broadened over time, but he maintains a primary focus on basic and applied research in the area of human development. In collaboration with Benjamin Broome and Owen Harney, Michael has worked to extend the pragmatic systems science and collective intelligence methods developed by John Warfield. This work includes basic and applied collective intelligence research and the creation of a new approach to systems science education. Michael currently works on a variety of EU projects that use collective intelligence, including projects focused on marine ecosystem sustainability, open data transparency, and e-book design for children. Michael has also spent time at Harvard University working with Kurt Fischer on EEG coherence and learning, and at Arizona State University he worked with Alex Zautra and Mary Davis on clinical mindfulness research. Michael has collaborated extensively with colleagues in Aberdeen and Edinburgh, including Roger Staff and Ian Deary — together they have examined longitudinal trajectories of cognitive ageing: the role of openness to experience on cognitive performance trajectories; the relationship between cerebellar brain volume and cognitive decline; and the impact of practice on longitudinal cognitive performance trajectories. Michael also has a keen interest in the effects of exercise on brain and cognitive functioning – he has worked with Cay Anderson-Hanley to examine the effects of exercise on brain and cognitive functioning in older adults, and with Sabine Kubesch and Markus Keifer he has examined the interactive effects of physical fitness and acute bouts of exercise on brain and cognitive functioning in adolescents. Michael collaborates extensively with his colleagues at NUI, Galway. For example, he has conducted numerous studies on Argument Mapping and Critical Thinking with Chris Dwyer and Ian Stewart; he has focused on mindfulness and chronic pain with Haulie Dowd and Brian McGuire; EEG entropy and cognition with Liam Kilmartin and Denis O’Hora; the psychology of Facebook usage with Elaine Wallace; and much more. Michael is married to Victoria Hogan, Lecturer in Occupational Health and Safety at NUI, Galway. Together they have three children, Siona, Oisin, and Freya. Victoria and Michael have worked together recently to examine the effect of work hours and work-life conflict on well-being in academics. Together with their children they try to maintain a good balance between work and play. Michael was a member of the European Science Foundation (ESF) Steering Committee for European Research Network for Investigating Human Sensorimotor Function in Health and Disease (ERNI-HSF), and is currently Co-Director of the Structured PhD in Perception, Cognition and Action, Co-Director of Structured PhD in Learning Sciences, and contributes to the Health and Well-being priority theme at the Whitaker Institute for Innovation and Societal Change. Michael writes a blog for Psychology Today and he can be found on Twitter and Linkedin.